Sometimes, the best things in life are hidden or perhaps they are right in front of you without you even knowing it, as in the case of New Zealander chef Ben Shewry’s Melbourne restaurant Attica. Considered one of the top restaurants in Australia and among the world’s top 50, Attica is Shewry’s creation after having succeeded in putting authentic Australian cuisine on the map. Some say that Shewry is the next big thing in the culinary world and food critics and bloggers are flying halfway around the world to see what the fuss is all about. For many years, gastronomy in Down Under has had an identity crisis, struggling to differentiate itself from the influences of other countries. Shewry and many chefs began to make a connection to their own roots by using native ingredients that are indigenous to Australia. However, Shewry’s success story did not come without sacrifices. In this fifth episode of David Gelb’s Chef’s Table, Shewry talked about the quieter, darker story behind his depression despite his own carefree, happy upbringing by his hard-working parents, who taught him and his sister to be self-sufficient at an early age. For many years, he worked long hours, seeing very little of his wife and children. During the times he was with them, he felt like he wasn’t really there. He wasn’t happy with his work and came very close to not cooking any more. Although he was frustrated and feeling helpless, he didn’t admit his feelings and did not want to burden his wife Natalia. But Shewry’s misfortune had an unlikely turn of events when he went fishing with a fisherman named Lance Wiffin, who owns a mussel farm an hour’s drive outside Melbourne. While they went gathering for mussels, Wiffin was telling him how he was nearly going out of business, because of a shortage in mussels and scallops. He nearly gave up but he had a family to feed and barely ever saw them. That’s when Shewry realized that he had to make a choice; to make time for his family, which will help him rediscover his love of cooking. 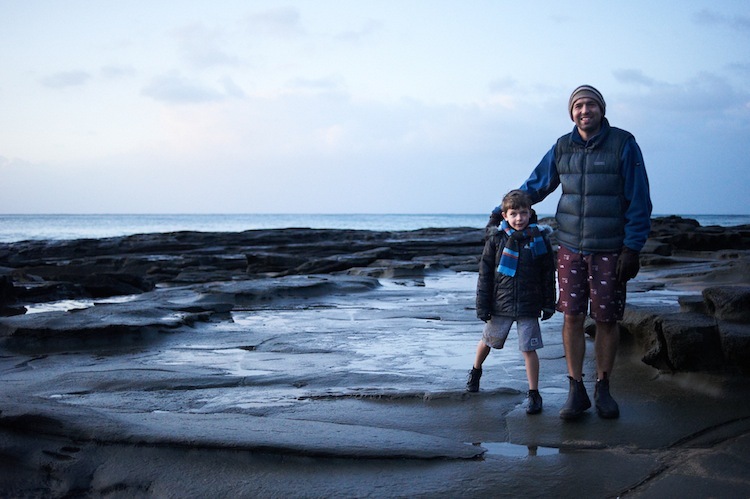 Shewry started to reconnect with his young son, who formed a basketball team with his friends, by becoming their coach. He has been doing this for the past three years now, and also volunteers as a key fundraiser and ambassador for the Helping Hoops basketball program, which promotes growth and mentoring for underprivileged kids through sport. He realized for the first time that he enjoyed something outside of cooking. He was remembering how much his father, always his great hero, had played a role in his childhood. His father saved him one time from drowning when he was caught in a riptide while he was collecting mussels on a reef. His family and friends reminded him that what’s important in life is not whether you are one of the best chefs in the world but that you are remembered as a kind person. And that in order to create something significant, you have to be happy doing it. 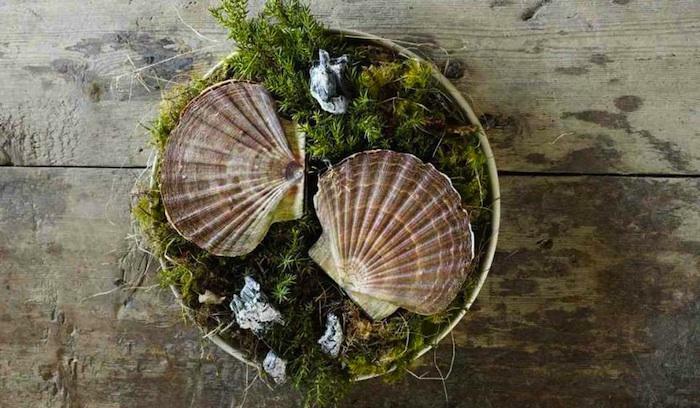 Voted as number 19 on the World’s 50 Best Restaurants List, chef Magnus Nilsson’s Faviken claims to be among the most isolated restaurants on the planet. 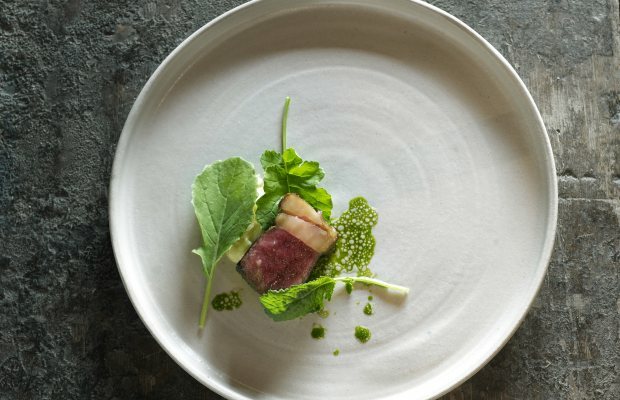 Located in the cold, desolate, rural yet beautiful countryside of Sweden, where six months out of the year, nothing ever grows, Faviken has become one of the most sought after fine restaurants in Scandinavia. An ever-changing tasting menu at Faviken has caught the attention of food critics and travelers alike and a chance to eat in his restaurant has since become a rite of passage. Nilsson’s techniques in transforming traditional Scandinavian cuisine into innovative and thought-provoking dishes using only local ingredients can be challenging at times, considering seasonality isn’t what he and his cooking staff could afford. When he isn’t foraging or hunting wild game on the estate, Nillson employs the use of preserving vegetables and curing meats in their root cellar, which is an old and effective method of food sustainability in their part of the world. Nilsson is an absolute perfectionist in the kitchen. He discusses how most restaurants normally have less-trained staff doing all the menial tasks, such as peeling potatoes and carrots, etc., while the more experienced chefs end up plating the food. He argues that this way of doing things holds no accountability. Instead, he has his trainees on the pass with someone who announces and controls everything while the chefs are in the back actually cooking until it is time to plate the dishes. This way, everyone is expected to carry out their best from the beginning. Outside of the kitchen, it is all about controlled timing on how to serve his 20-30 course tasting menu; a rapid succession of 180 seconds at first and then the pace slows down to every 7-8 minutes, only to speed up again throughout this 2-1/2 hour long meal. Like most young chefs at the time, Nilsson began his career by moving anywhere away from home. He chose Paris, but it took him quite some time and desperation to finally get a job when he almost gave up and return to Sweden. He was fortunate to work three and a half years at a one star restaurant named L’Astrance. Right around the time of the financial collapse, Nilsson ended up coming back home to work in Stockholm but it was short-lived. His talents were not recognized and he had little opportunity to express his creativity. He no longer enjoyed cooking and gave it up. A friend of his, who was working at Faviken, asked him if he would be interested in becoming a consultant, and soon he convinced himself to accept the job since he and his wife were expecting a baby. Slowly, Nilsson’s ideas opened everyone’s eyes and the restaurant started to achieve recognition and awards, which drew more and more people. As fate would have it, the young Nilsson, who once left his homeland to try and open the best restaurant in New York, Paris or London, has come home to his roots with a greater appreciation and created the best restaurant in the middle of nowhere.